A controversial policy of “tomb-flattening” in central China is destroying evidence of the AIDS epidemic, experts and activists say. Millions of peasants’ grave sites that surrounded villages where many died from the disease have been bulldozed flat in order to turn graveyards into farmland. Data recently provided by local officials indicates that more than 2 million graves have been leveled since March, according to Shanghai Morning Post. Local authorities in Zhoukou City, Henan Province, claimed that turning graveyards into farmland will increase farmers’ income. 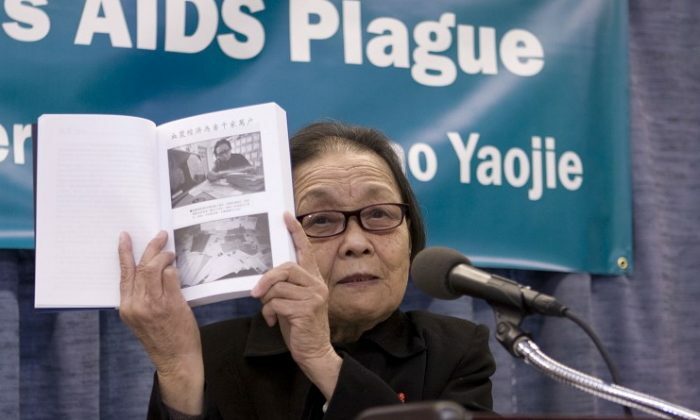 However, Dr. Gao Yaojie, one of China’s foremost AIDS experts, recently pointed out another reason the authorities have leveled so many tombs: to thoroughly destroy evidence of the AIDS epidemic in those areas. “The deceased cannot talk. But the graves are their last testimonies that they contracted AIDS from selling their blood. This is how the tomb-removal campaign has come about after more than a decade,” she said in an article she wrote. 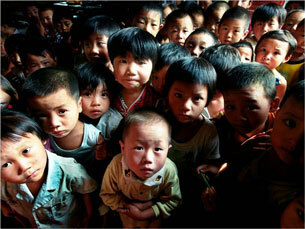 In an interview with Radio Free Asia in 2010, Gao said that the HIV-infected population has exceeded 10 million in China. “I once went to an AIDS-stricken rural village and saw six victims buried that very day,” she said. Chinese authorities have persistently denied that the rampant spread of AIDS in the country was caused by blood collection and selling operations. Gao disagrees with the official line. “Wherever you have blood-selling, you also have transfusions. It begins with the blood-sellers, then spreads to transfusions,” she said in a 2011 interview with Radio Free Asia. 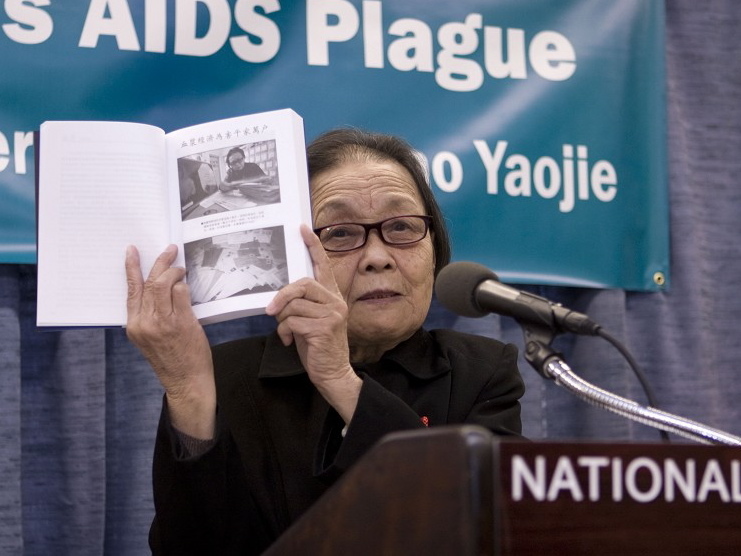 Before escaping to the United States, Gao traveled throughout Henan, treating AIDS victims with her own pension money, warning the farmers of the dangers of selling their blood, and viewing for herself the effects of the epidemic. Zhoukou City is one of the areas that used to be plagued by a high rate of AIDS infection, according to another AIDS activist Hu Jia. Hu told a Secret China reporter that he used to visit Henan to research the AIDS epidemic. He noticed that many AIDS villages had more tombs than the other villages. “I’m sure they have become sort of a landmark that the local authorities were not happy to see,” he said. He also believes that this is one of the chief reasons millions of graves were destroyed. “Many of those who died from AIDS—their graves have disappeared, as if they had never existed,” he said. AIDS became an epidemic in Henan in the early 1990s, the result of a push by provincial health bureau chief Liu Quanxi encouraging poor farmers to sell their blood. 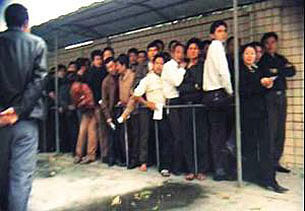 While Liu promoted a “plasma economy” in the poverty stricken area, his family members set up blood stations to collect blood from the farmers, using public funds and equipment, according to a report by Hong-Kong’s Asia Weekly magazine in 2007. Communist Party officials in Henan were never held accountable for the contaminated blood collection and selling procedures. Propaganda chief Li Changchun was the Party chief of Henan Province from 1992 to 1998. Both he and Liu were promoted after the AIDS epidemic broke out. Never before has such a large-scale removal of tombs been carried in China, according to New Tang Dynasty Television’s political commentator Heng He. This strongly supports the idea that local Communist Party authorities in Zhoukou are making sure they will not be held accountable in the future, he said: to destroy the evidence of the AIDS epidemic they oversaw, they’re bulldozing millions of grave mounds.